Merrilee Hodgins, the Co-founder and Artistic Director of The School of Dance, studied in Canada, England, Denmark, Germany and the United States. In 1971, she was awarded the prestigious Solo Seal of the Royal Academy of Dancing. In 1973 she became principal dancer with the Alberta Ballet Company, later working in Denmark, Germany and the U.S. as a freelance artist. 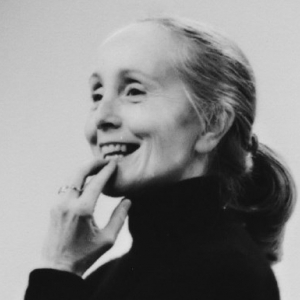 Miss Hodgins, a recipient of the YM-YWCA’s 1997 Women of Distinction Award, was the 1997 Chair of the City of Ottawa’s Cultural Leadership Committee, was a member of the board of directors for Dance Ontario, and has been awarded Canada Council grants to research and develop projects to introduce children to dance. Recent artistic projects include choreographic commissions from the National Arts Centre Orchestra in Ottawa, a collaboration with Canadian poet Susan McMaster, a commission to produce a concert version of Stravinsky’s Firebird for the Brott Music Festival in Hamilton, Ontario and commissions to create choreography for Carnival of the Animals for the National Academy Orchestra of Canada and the McGill Chamber Orchestra. Merrilee is a Director of the Celia Franca Foundation and she regularly collaborates with a wide-range of organizations such as the Ontario Arts Council, Carleton University, the National Arts Centre, the National Gallery of Canada and the Hnatyshyn Foundation. In 2013, Merrilee was awarded a Queen Elizabeth II Diamond Jubilee Medal in recognition of her contributions to arts education in Canada. In 2017, Miss Hodgins was presented with the Senate of Canada Sesquicentennial Medal in recognition of her valuable service to the nation.